10,000 Sq. 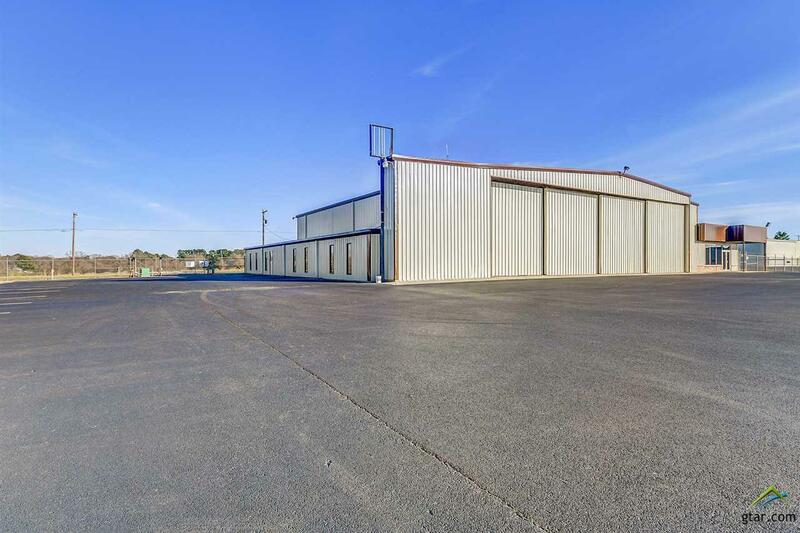 Ft. hangar at Tyler Pounds Regional Airport in Tyler, Texas includes 2200 sf remodeled office area and 2000 sf shop area. The hangar is fully insulated with new roof and sky lights. The shop area has electric heat and air(heat pump) and the office has gas heat and electric air. 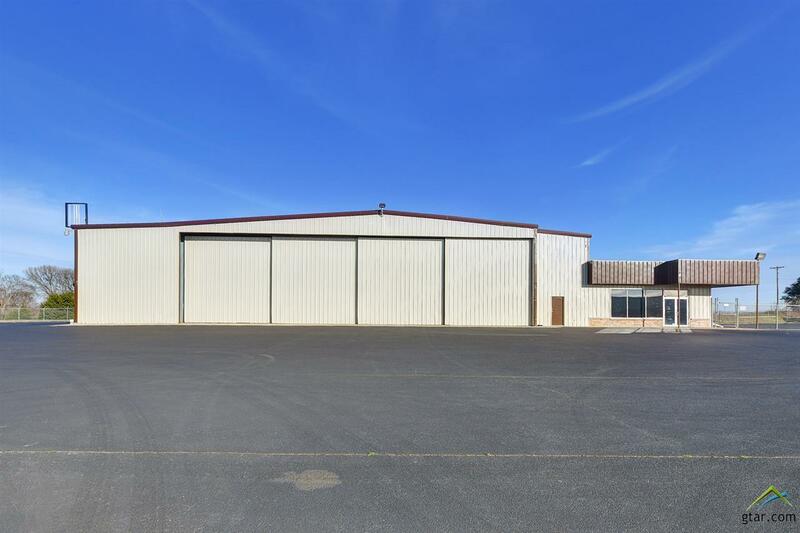 The office area has fully equipped kitchen, men and women separate restrooms, conference room that is fully furnished, passenger waiting area, 3 employee offices, manager's office, and a director of maintenance office with direct access to the hangar. 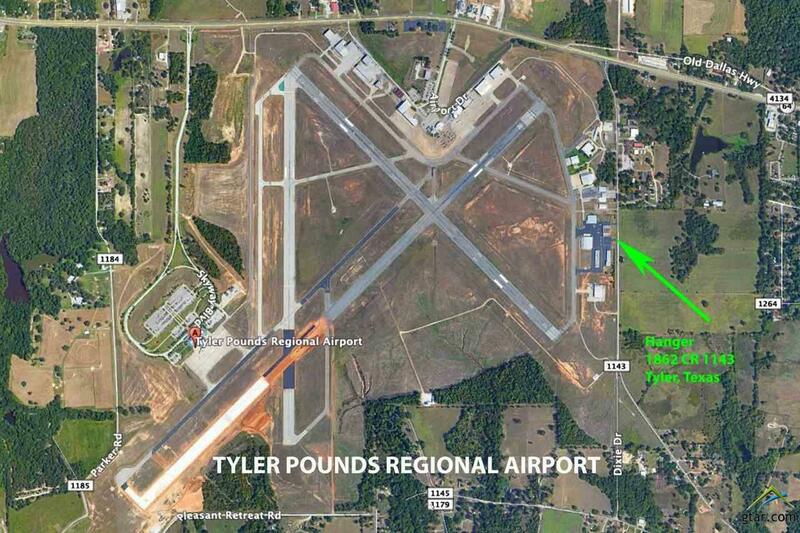 Tyler has a new 8300 ft. runway and airline service to DFW provided by American Eagle. 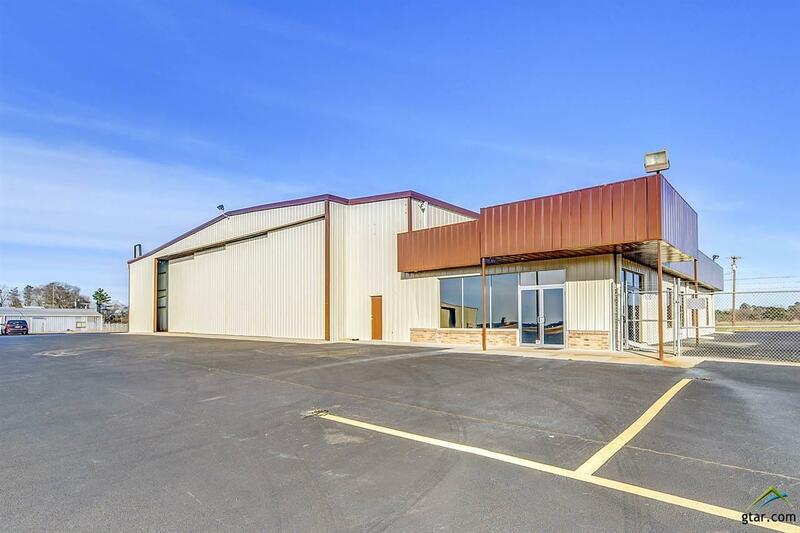 Great hangar, great location in a great city for families and offering the best deal on Jet A fuel in the state of Texas. $8,500 per month. Listing provided courtesy of Karma Crisp of Smith & Crisp Realty Group, Llc. Listing information © 2019 Greater Tyler Association of REALTORS® Multiple Listing Service.